A great visual way for your guests to be greeted at an event, and very handy to give out directions. 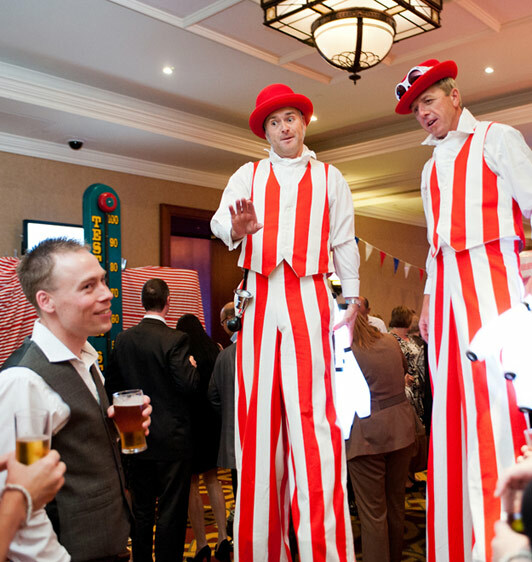 Our Stilt Walkers can be dressed to compliment the events theme. We recommend that they are booked as a pair for maximum impact.